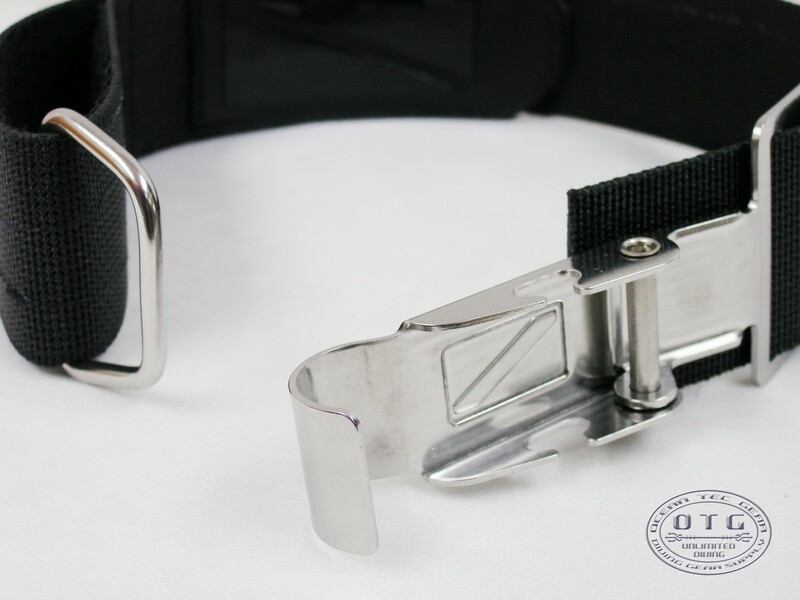 OTG Scuba Diving Tank Band with Stainless Steel Quick Release Hinge Buckle is much easier and quicker to change a new tank for your BC. 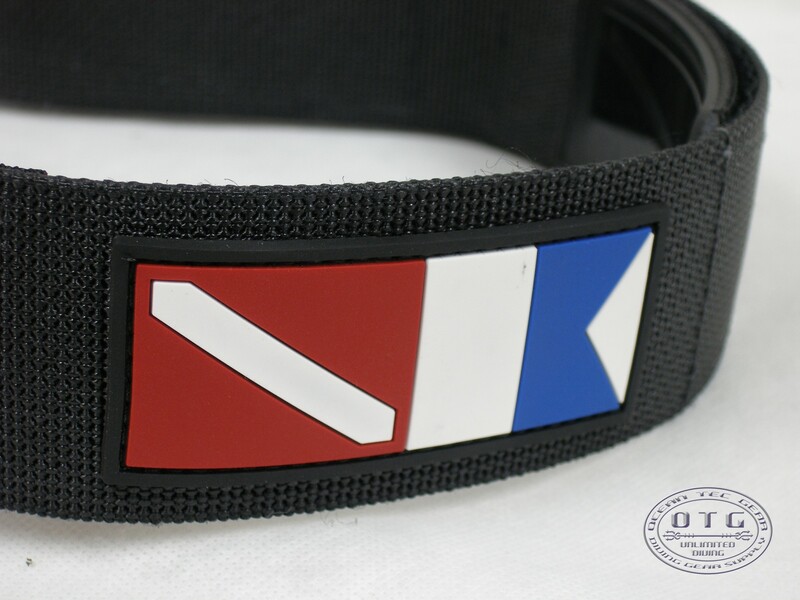 Divers often called the hinge buckle as "ScubaPro" style buckle. 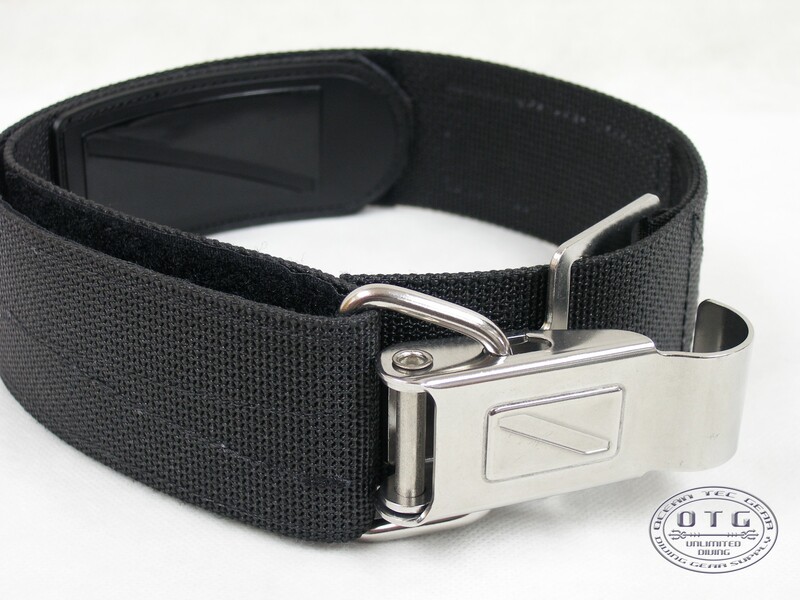 The 2 inch width heavy duty nylon webbing has a stainless steel hoop and buckle feature that allows complete separation of the buckle from the opposite end of the strap. You no need to lift the BC over the tank and jiggle the strap when you remove or replace the tank. 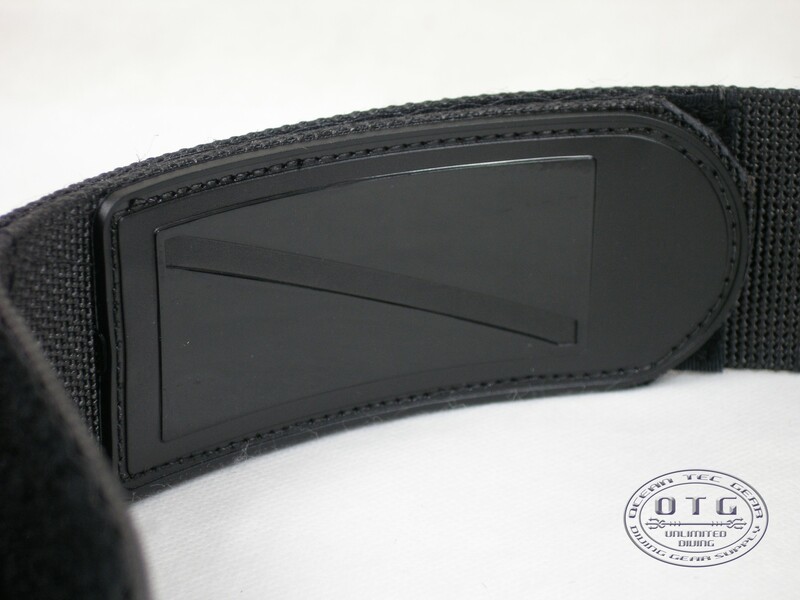 The Tank Band includes a sewn in Anti-slip pad and the length of the strap is adjustable. It fit most of the standard cylinders. - With Sewn in Anti-Slip Pad.